Showing 71–80 of 413 items. MIX IT UP: Discover a bowl of sweet, crisp peaches mixed in a tasty strawberry flavored gel. 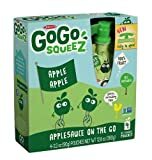 These convenient cups are a surprisingly fun way to eat fruit, liven up your snack routine and add a bit of sunshine to your day. 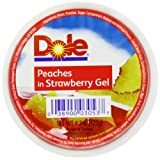 GLUTEN FREE: DOLE Peaches in Strawberry Flavored Gel are a rich source of Vitamin C and are made from all natural fruit and non-GMO ingredients. 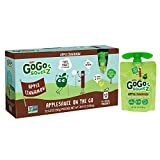 They're gluten free and make a great snack! DELICIOUS PEACHES: With Dole's shelf-stable peach products, you can have the refreshing taste of peaches anywhere and anytime. 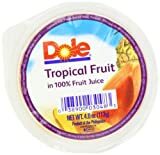 For a delicious snack with great tasting peaches, try Dole's fruit bowls or jarred fruit. Apples are a naturally fat free and low sodium food. 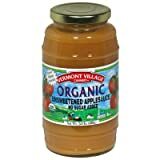 Certified Organic, Certified Non-GMO, Certified Kosher, Certified Vegan. 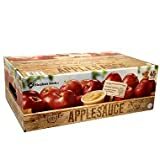 Contains 12 boxes of 4-3.2 oz size to a total of 48 pouches.